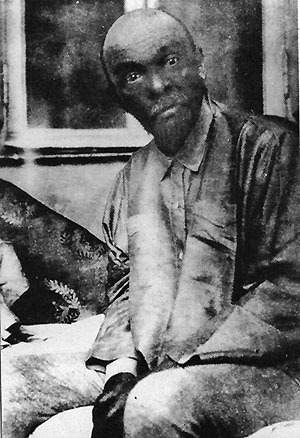 Lenin is certainly not looking good in this photo from 1923. His illness (strokes) kept him away from any active work in the party. As he considered what changes to enact, all he was able to do was dictate some letters, which came to be known as his "Last Testament." Lenin had wanted his desires to be read to the party congress in April 1923, but he had another stroke, and his wife did not give the letters to the party leaders. After Lenin's death, the letters were finally made known to party leaders at the party congress in June 1924 but in such a way as to minimize the impact of Lenin's criticisms. Read Lenin's Testament (There is also another copy online. Take a moment to check the information in the Lenin Internet Archive too). Hey, he should have gotten a better lawyer! Citing specific evidence from Lenin's Testament (not from the textbook), what was Lenin hoping to accomplish with his "testament?" Your paragraph should be about one-half page in length, double-spaced with one-inch margins, font size 10 or 12; it should contain a concise topic sentence that directly responds to the assigned question (no need to define terms or cite a dictionary) and use direct, quoted material to support your points. You may consider submitting a draft of your assignment to your instructor for feedback before submitting the assignment for a grade. Please send some specific questions that you would like answered about your draft. The questions can be general (Is my thesis/first sentence clear?) or specific (Is the phrase, "Chardin was jeweller," written correctly?). Your assignment should be sent to your course instructor following the directions for submitting assignments. Please take a moment to review Charlie's History Writing Center for specific information on the writing requirements for the assignments in the course.